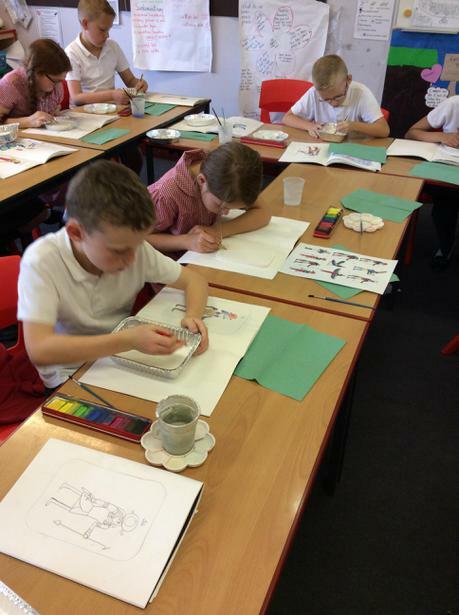 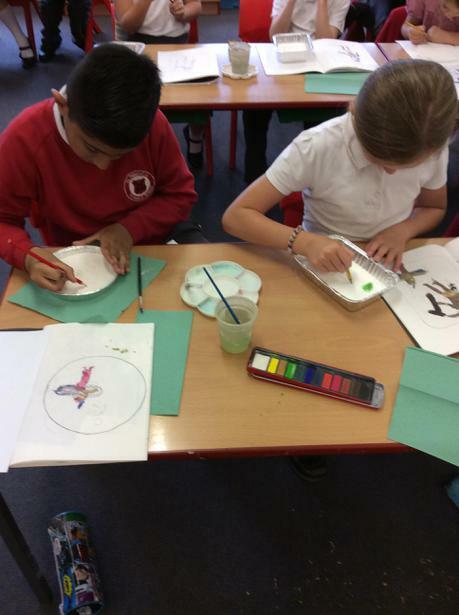 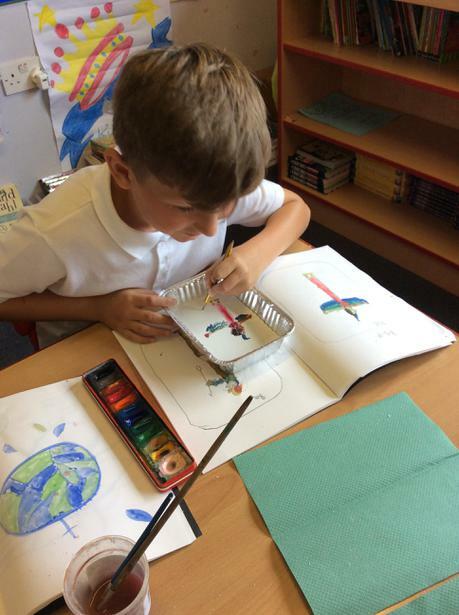 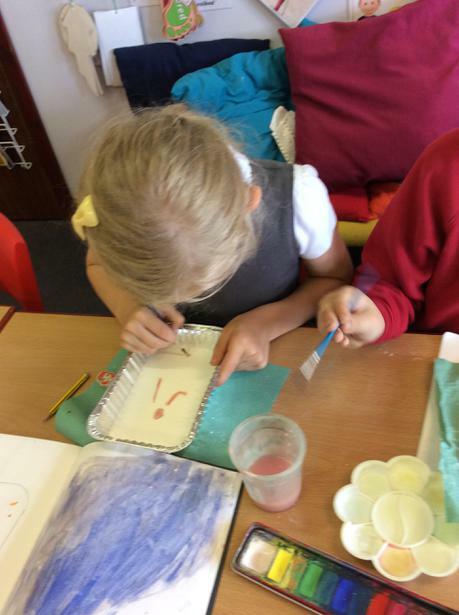 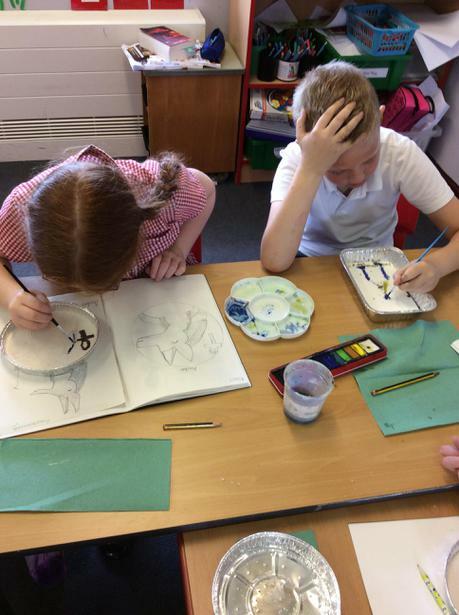 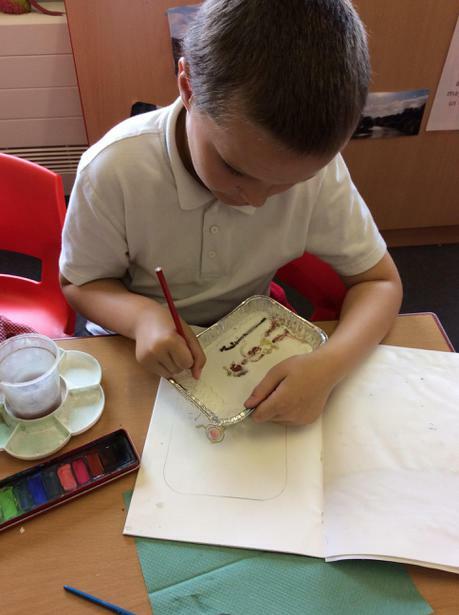 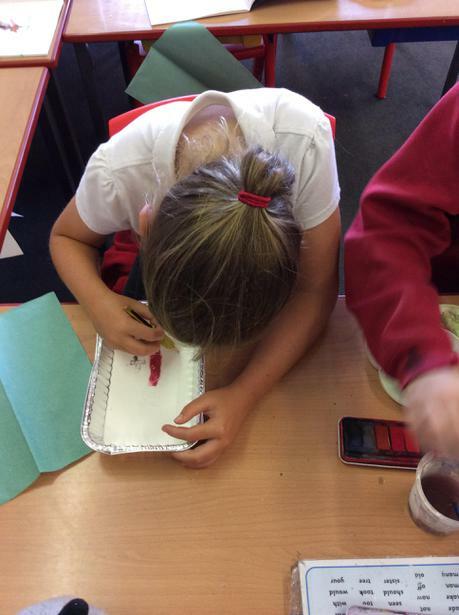 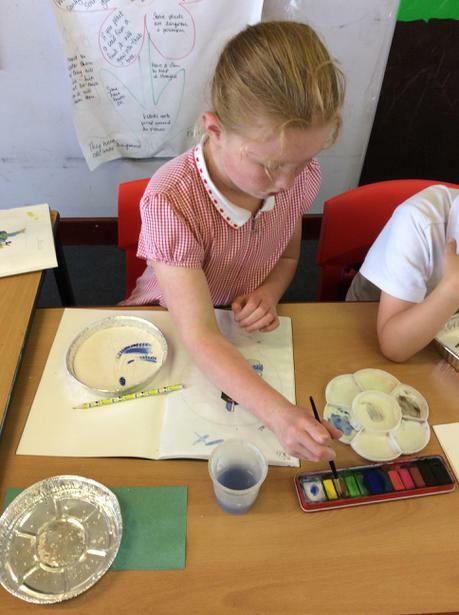 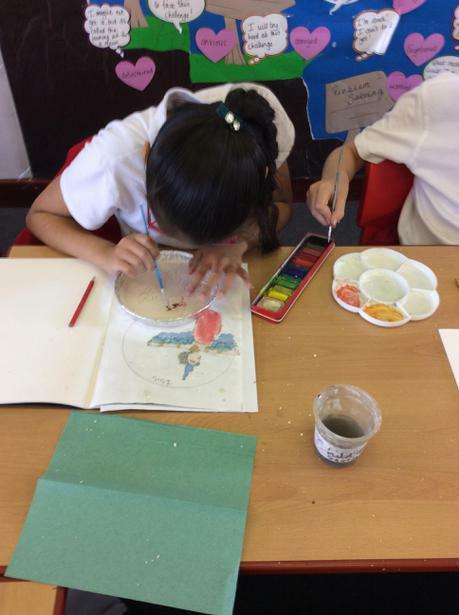 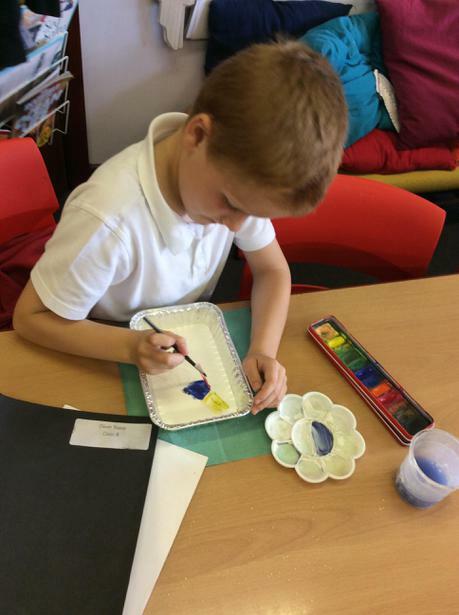 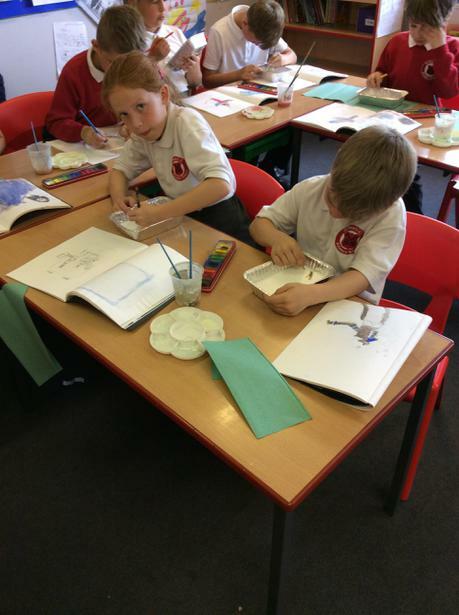 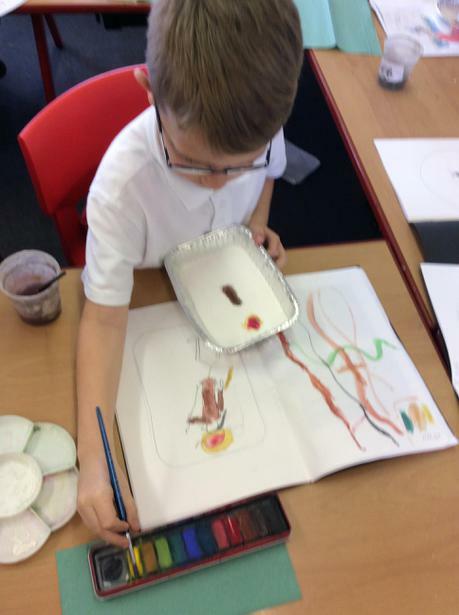 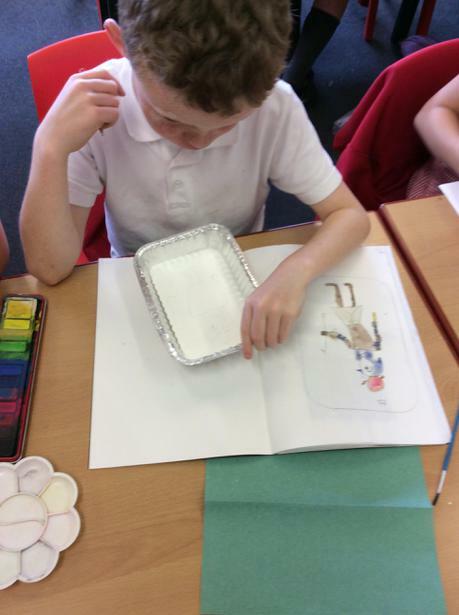 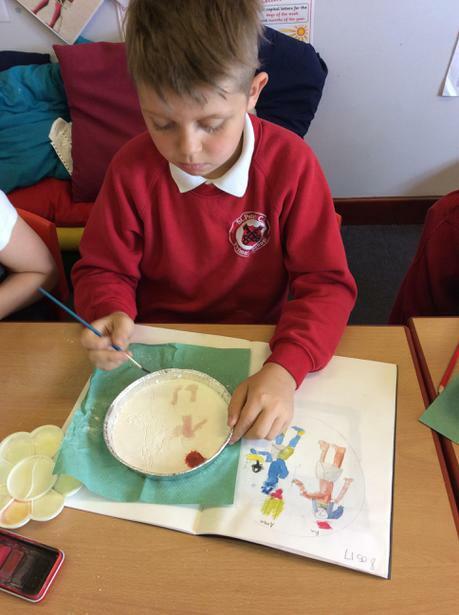 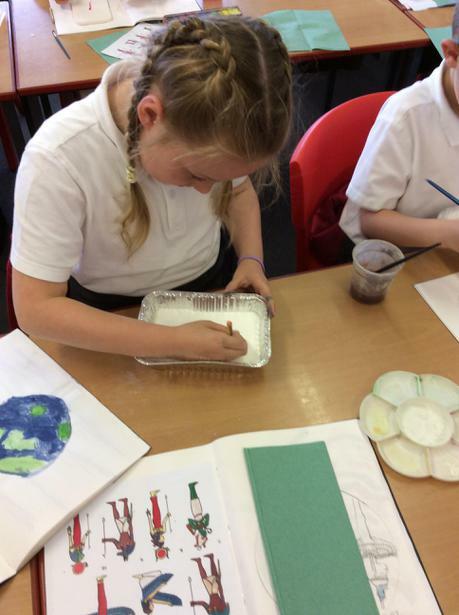 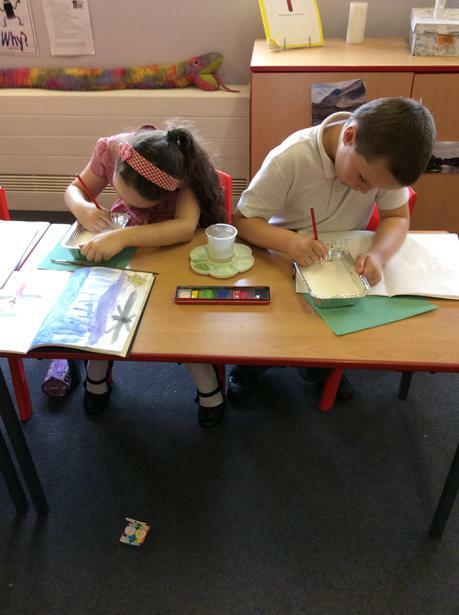 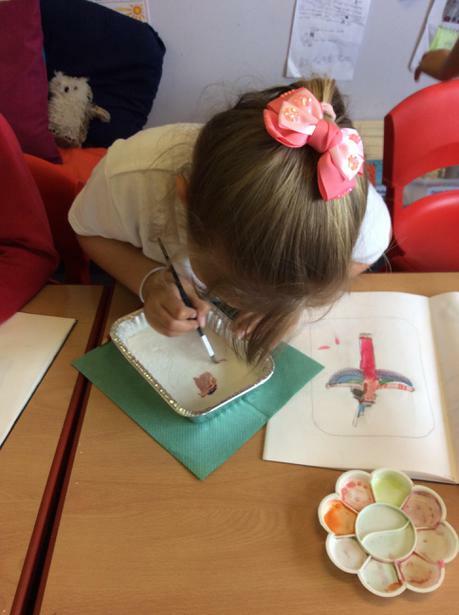 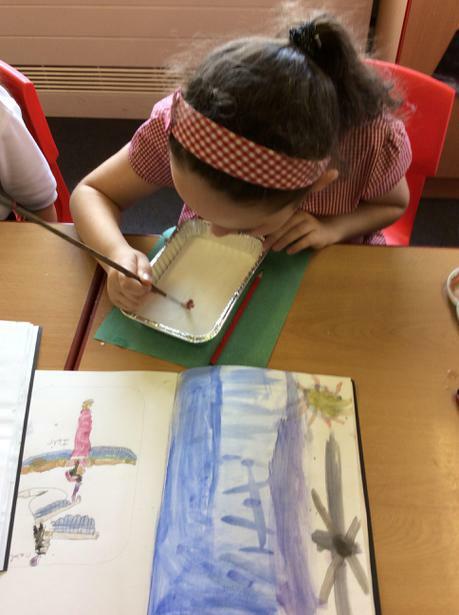 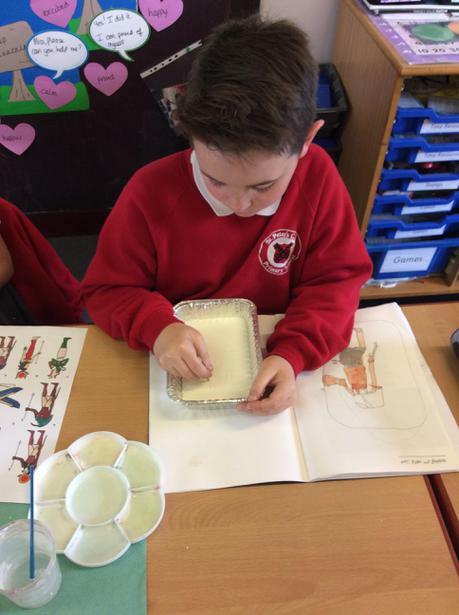 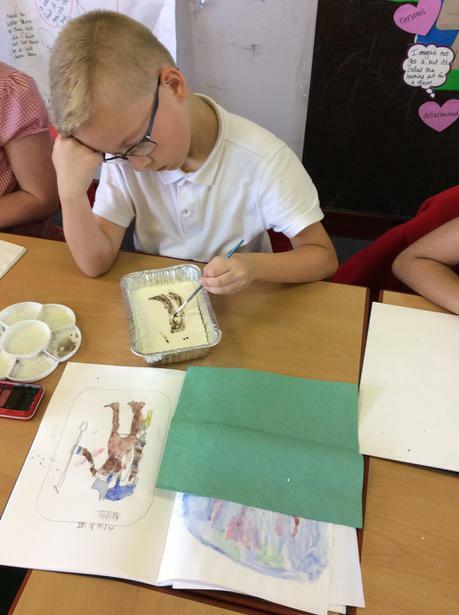 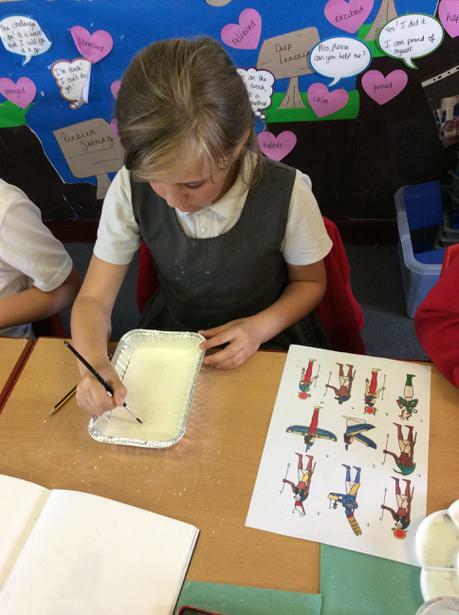 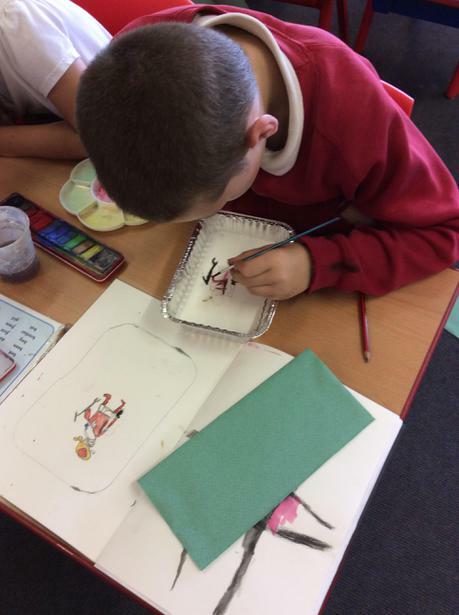 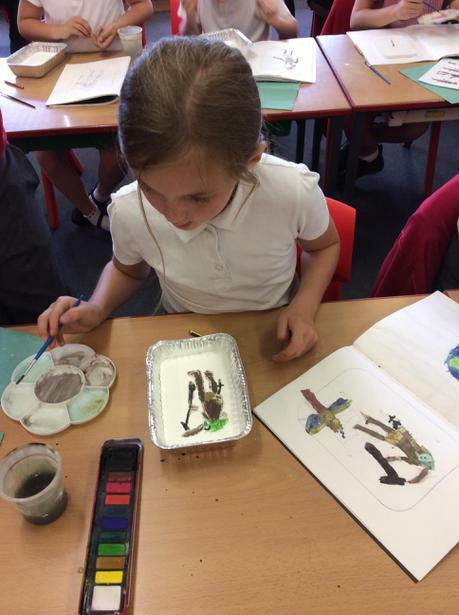 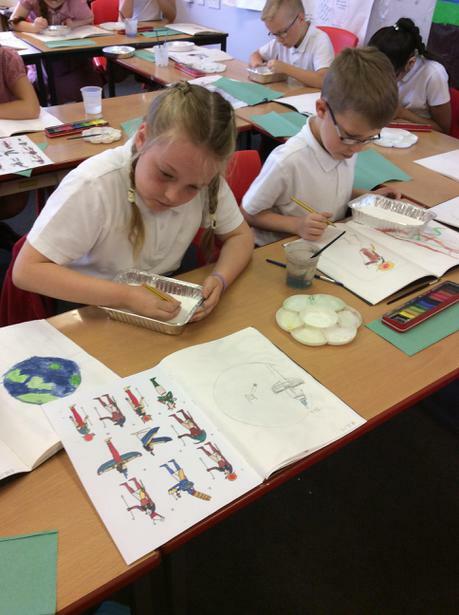 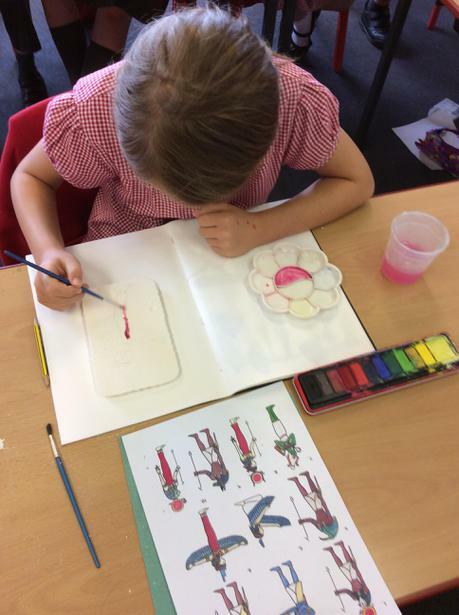 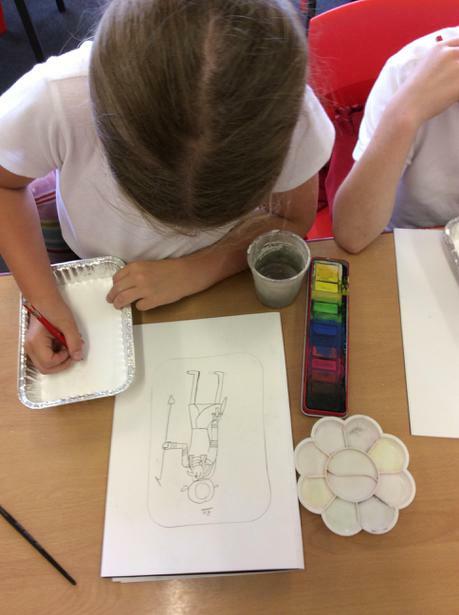 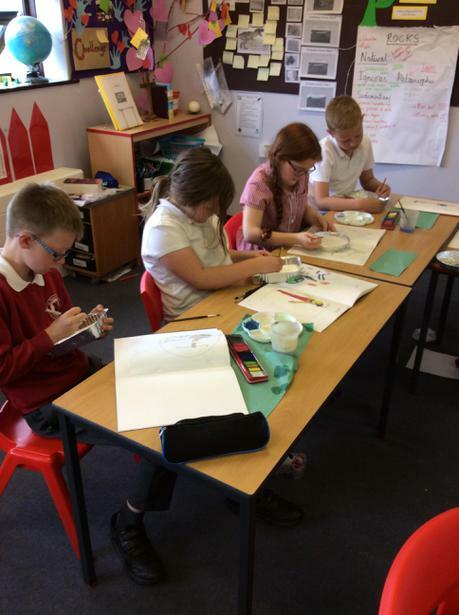 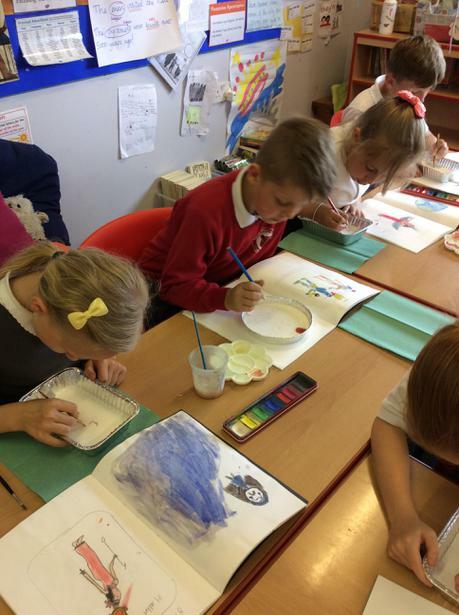 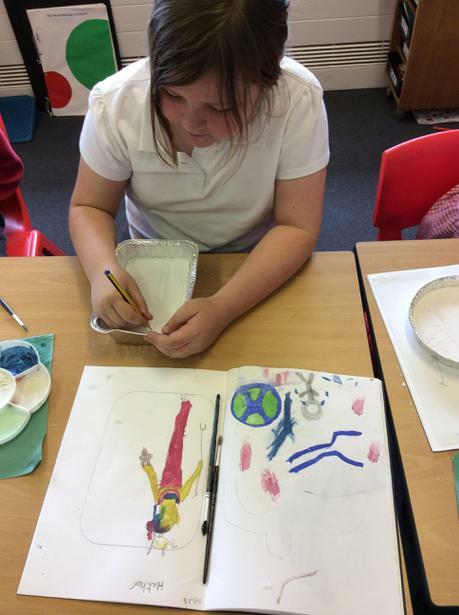 We have been sketching and creating Egyptian Tomb Paintings. 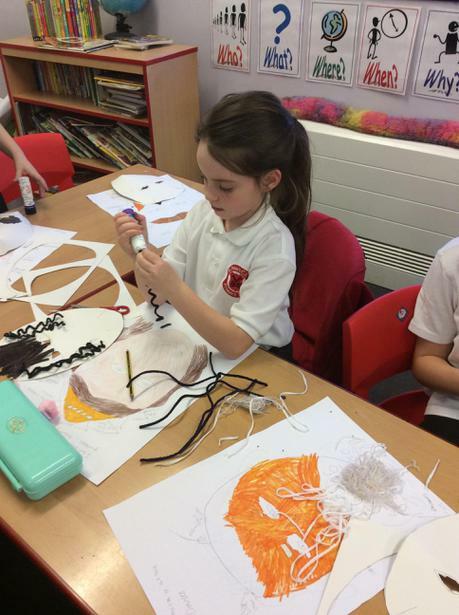 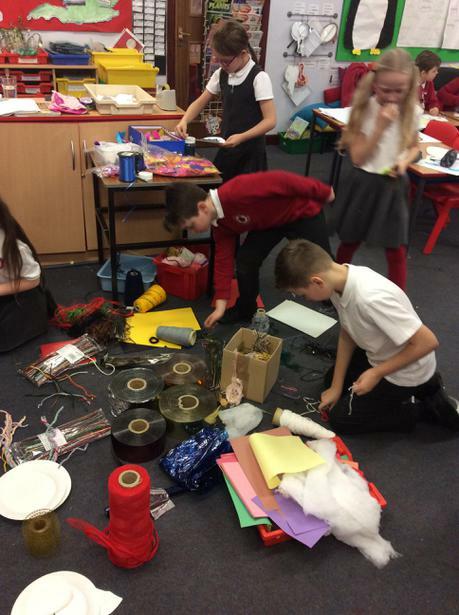 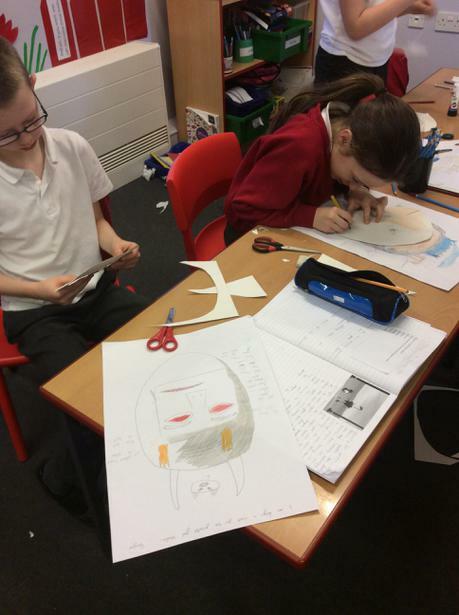 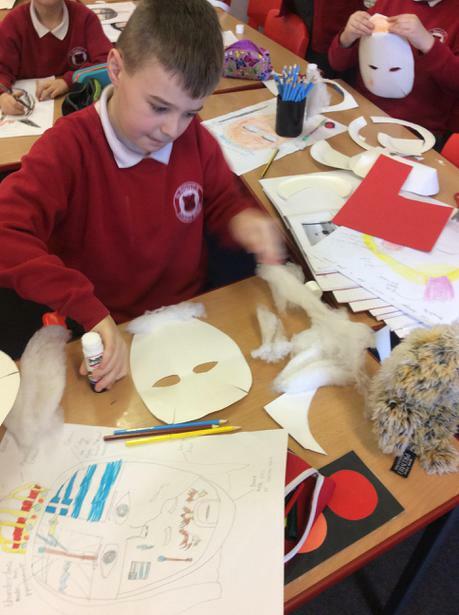 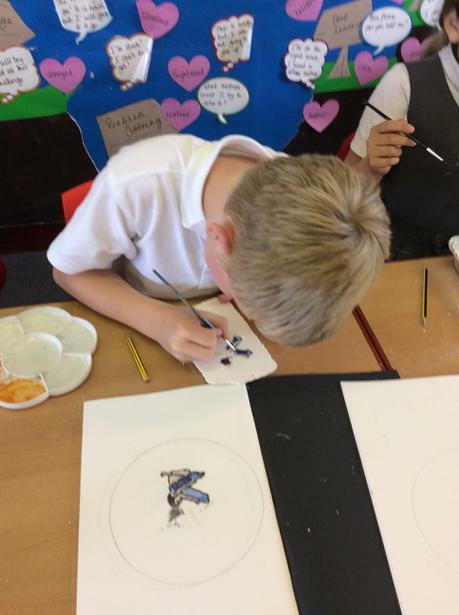 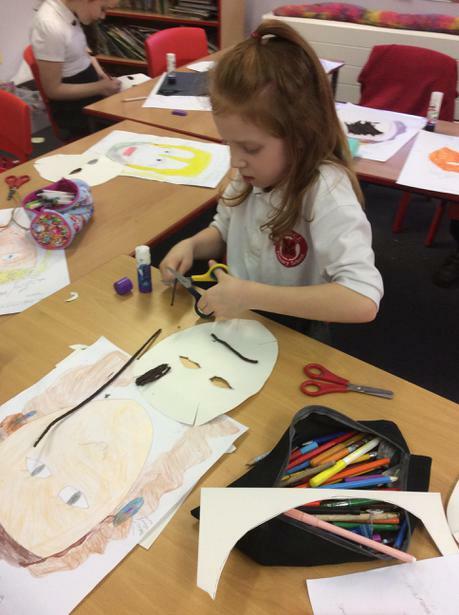 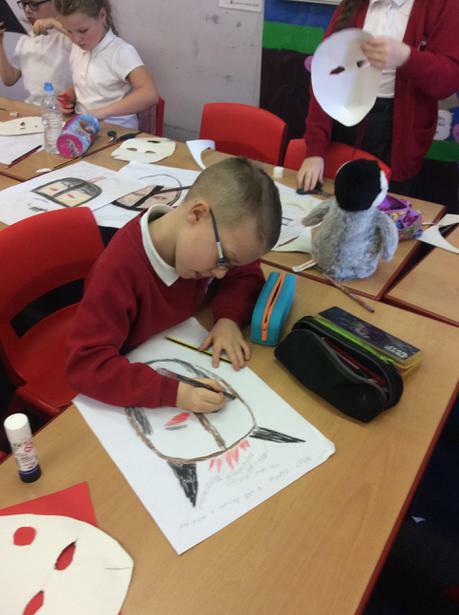 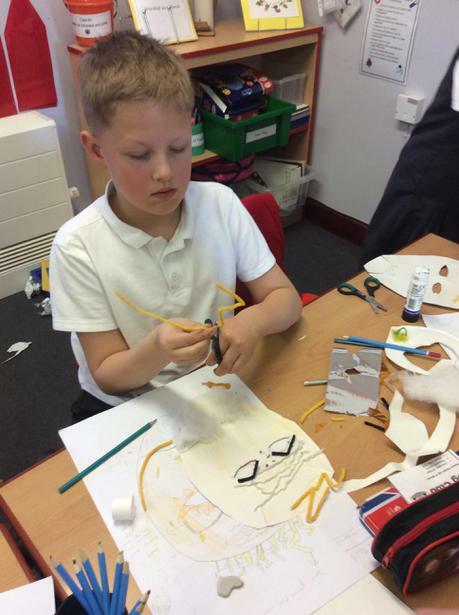 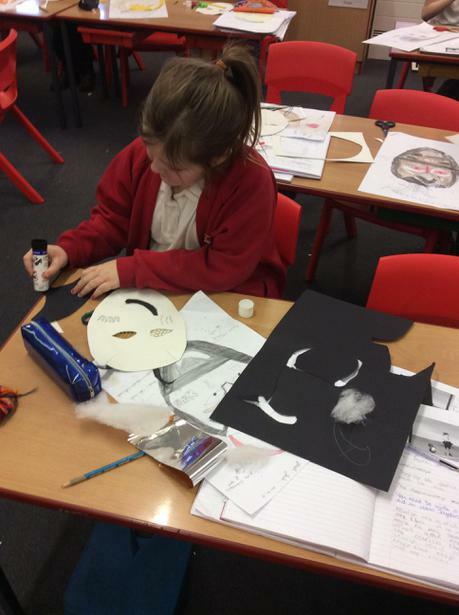 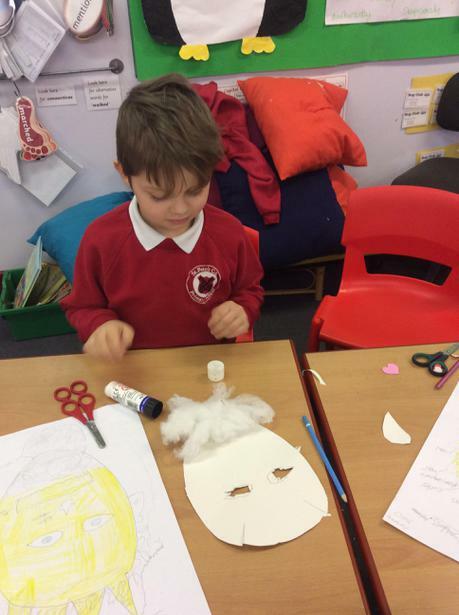 We looked at Greek gods and created theatre masks for them. 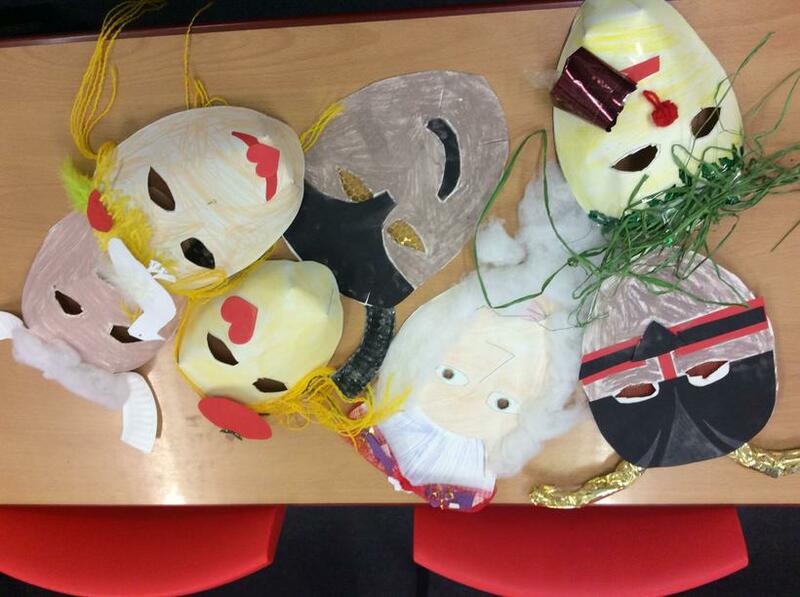 Can you guess which gods they represent? 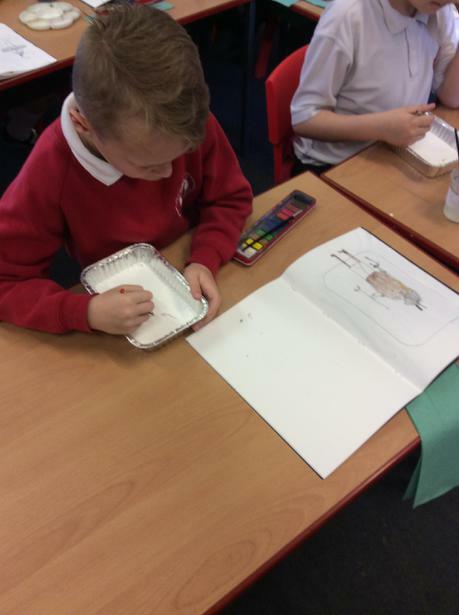 We worked hard to try and fill the page.